No other provider carries our interlock device in the state of arizona. 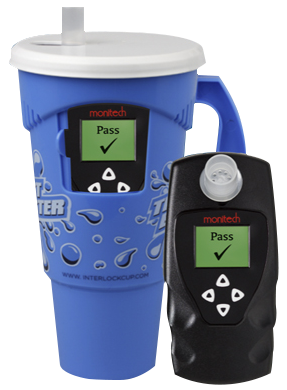 If you have to live with an interlock device az make sure it is easy to use and reliable. We are so confident that our ignition interlock unit is the easiest & quickest device to use that we will let you Try It BEFORE we install it into your vehicle. At QuickStart we have a unit already setup and ready for you to try out. REMOTE “LOCKOUT” OVERRIDE CAPABILITY: Don’t get stranded. With a call from your cell phone QuickStart Ignition Interlock can override a lockout due to missed appointments, violations or a non-critical malfunction with the Quictest™ unit. Some Providers will require a service call or have you to tow your vehicle to the nearest location. TESTED FOR STRINGENT WEATHER CONDITIONS: Don’t get stranded in the summer heat or frigid winter temperatures. The QuicTest™ device provided by QuickStart Ignition Interlock Arizona was engineered to withstand temperatures up to 185 Degrees F. No need to remove your device every time you exit the vehicle. Cold Weather Conditions? Multiple heaters in the QuicTest™ Ignition Interlock decrease the amount of time the device takes to warm up. You won’t be left out in the cold! SMALL & DISCRETE: The QuicTest device is smaller than most interlock devices on the market. With a footprint is smaller than an I Phone 6 the QT device fits nicely in your hand. REAL TIME TROUBLESHOOTING: The QuicTest device has remote troubleshooting technology. If you are having an issue with the device a QuickStart representative can look at the events of the device in real time to help troubleshoot the problem. NO FALSE POSITIVES: Our device uses state of the art fuel cell technology that tests specifically for alcohol. PROACTIVE TECHNOLOGY FOR POSSIBLE MALFUNCTIONS: Don’t be stuck with a company that depends on reactive plans for device malfunction. In most cases the QuickStart Ignition Interlock Arizona system will give you a verbal notification before a critical malfunction occurs. Our system will notify you to call customer service and will provide you a four digit identification number which allows us to diagnose the problem. Our device is proactive so we do not have to be reactive. NOTIFICATION ALERTS: Avoid the fees of missing your appointment. The QuicTest™ unit alerts the customer of their upcoming appointments, lockouts and voltage decreases of the vehicles battery. PROGRAMMABLE IN BOTH ENGLISH AND SPANISH: The QuicTest Ignition Interlock Arizona device can be programmed to speak and display text, on its LCD screen, in both English and Spanish. TEXT INSTRUCTIONS: Graphic LCD display gives instructions in multiple languages which makes operation simple. PROGRAMMABLE WAKE UP TIMES: The QuicTest can be programmed to wake itself up at different times of the day so you do not have to experience any wait times to take a test. This feature works well for cold mornings and cold environments. ADJUSTABLE BREATHE PRESSURE: Breath pressure sensitivity is adjustable for clients who have medical conditions such as asthma, COPD, Emphysema, etc. OPTIONAL FLASH CUBE notification for avoidance of missed running tests.